Effort rewarded - Aquamoves – Indoor and outdoor pools, fitness facilities and programs in Shepparton, Victoria. 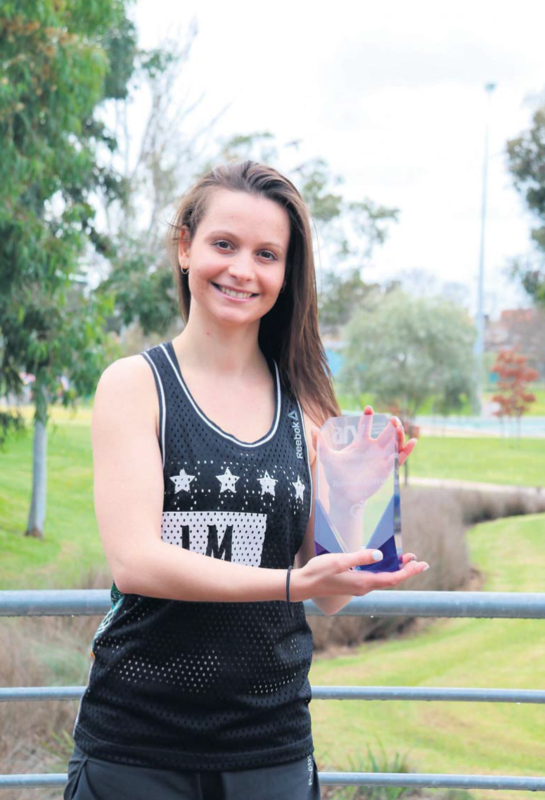 Aquamoves fitness instructor Bec Parris has taken out the Group Exercise Instructor Award at the Aquatics and Recreation Victoria Industry Awards, on last Friday at Peninsula Docklands in Melbourne. The annual awards recognise and reward outstanding achievement and commitment by employees in the aquatic and recreation industry, and up against 11 other instructors the Shepparton woman came out triumphant. ‘‘It’s a privilege sharing my enjoyment of group fitness with my participants, and I love seeing the satisfaction on their faces when they nail a combo, or at the end of a class when sweat is pouring,’’ she said. Other Aquamoves employees were also acknowledged for outstanding performance, including Debbie Stanton (lifeguarding), Maureen Harman (swim teacher) and Tess Whelan (duty manager). ‘‘We are very fortunate to have highly performing, hardworking staff and it is fantastic to see the nominees’ talent and dedication celebrated and acknowledged by their peers, as well as recognised by the industry body,’’ Aquamoves centre manager Marcus Cook said. Article courtesy of The Shepparton News 27 June 2016. Written by Hayden Thomson. Industry award winner: Aquamoves gym instructor Bec Parris has won an award for her outstanding achievements in the aquatic and recreation industry.